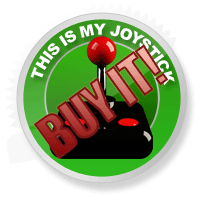 Review: Bioshock 2 Review - Page 2 of 2 - This Is My Joystick! Is all as it appears? Graphically, Bioshock 2 isn’t much of a difference from what you’ve already seen in the first game, that’s really not where the variety lies in the sequel. In some respects, you could even observe and say the graphics are dated now, or seem more scruffy when compared to the original game, less emboldened and highlighted. You will recognise environments from the previous game or at least be able to compare them fairly effortlessly. You’ll also be able to discern familiar faces such as Splicers and Big Daddies, who are obviously still a major part of the story. However, I appreciate that 2K haven’t tried to re-imagine Rapture too much and kept it faithful to the franchise, despite the fact that the game is set ten years after the original. It allows you to fall back into Rapture quickly without feeling as if it is utterly alien. Also, to compliment the narrative, even if you haven’t played the original game in some while, the graphics go a long way into reminding you of what has come before and even gives you the slightest inkling of what is to come. I suppose in that sense, Bioshock 2 does assume you have played the first game, and I certainly feel, that although the story does serve its own ends and purposes and can be played with no prior knowledge of the series, you will be missing a great deal by not having played Bioshock 1 first. Bioshock 2 is still filled with wild and wacky characters, whether you’re playing as Suresh Sheti in the multiplayer or coming face to face with Grace, you’re not just looking at generic figures with the same descriptions, there is soul and distinction, layers and complexities concealed beneath and throughout the pixels. These still feel like real three-dimensional people and not just described through their actions in audio logs, but also as to how they appear to you in this decaying world. I do feel that the new underwater sections in Bioshock 2 are very nicely done, as well. Much of the virtuosity and reverence depicted in this Atlantis-type utopia is buried under rubble. The vision of Andrew Ryan has been devastated irreparably and the consequences of your actions in Bioshock 1 are extremely prevalent in the sequel, for better or worse. So, observing the marine life at the bottom of the ocean and seeing these luscious environments can also be an exhilarating experience and is a nice contrast to the death and decay within Rapture, with life and substance decorated just outside its perimeter. However, as is the case with many sequels, the graphics are not a grand departure from the previous instalment. You find this with Left 4 Dead 2, with Unchartered 2, Mass Effect 2 and so with Bioshock 2. Although, when considering this game for review, I don’t find this to be a significant area of importance. Usually, when a person goes out to buy a sequel, it’s because they are familiar with the franchise in the first place, and don’t necessarily want a big change or expect a grand departure, especially when the previous instalment was as good as Bioshock and came out on the same generation format. Hearing bumps in the night. The sound effects in Bioshock 2 are as memorable as the first time as well. Certainly some sound snippets will be very familiar to those who’ve played the game, such as the whirring whistle of the droids, the sound of a camera detecting you, the cheerful clown who greets you when you purchase an item at the vending machine and the groaning sound of the Big Daddy as he lumbers around the broken rubble. There’s also new effects in here as well, such as that which accompanies the new hacking mini-game and the shriek of the Big Sister. The voice work is also brilliant, as good as it has ever been. Real feeling and emotion is conveyed in tone as you listen to the audio logs that represent celebration and desperation. The screaming of the Little Sister when she is being hurt by Splicers as she gathers ADAM can trigger that ‘father-like’ instinct within you as you bound over to protect. Also, sitting back and listening to the Splicers ramble on, feeding off the feeling of either being high on something or desperately craving that very same sensation can make you feel pity and resentment, dependent on your perspective. The sounds also play an important part in the telling of who and what you are, like for example, hearing the sound of water dripping on your metal exterior really adds your immersion into the reality you’re one of the protectors and puts you deeper into the role of Subject Delta. Also, the clunking footsteps you give off as you move around the map and the slight sluggishness that you experience as you go. It is these small, subtle details which remind you who it is you’re representing in Bioshock 2. The soundtrack is also an important aspect in this game and helps draw you into the 1950’s time period, even though the items you see around you declare technology that isn’t even capable in the 21st century. So don’t expect to hear Miley Cyrus singing ‘The Climb’ or Lady (allegedly – Andy) Gaga moaning about a ‘Bad Romance’. If you liked the music in the original Bioshock or you found yourself humming along to the melodies in Fallout 3, then this game will definitely put a smile on that face. I mean, there are not many games that are so badass they can include ‘How much is that doggy in the window’ on their soundtrack and get away with it. BioShock 2 features a story driven multiplayer mode where the player takes on the role of a citizen of Rapture. To give you some background, the multiplayer story is set in 1959, just before the events of BioShock 1. Your choice as a player has you undertaking a role of a splicer fighting in Rapture’s civil war. Your splicer will be sponsored by Plasmid manufacturer, Sinclair Solutions, to test out their weapons, Plasmids, and Tonics. As the player progresses through the multiplayer experience, new weapons and Plasmids will be unlocked (provided by Sinclair), in addition to the story of the Rapture civil war being told. The player can choose between 6 characters to be their in-game avatar. You choose between a welder named Jacob Norris, a housewife named Barbara Johnson, a football star named Danny Wilkins, a businessman named Buck Raleigh, a pilot named Naledi Atkins, and an Indian mystic named Suresh Sheti. The Prologue begins with you awakening in your living quarters, listening to a recorded message from Andrew Ryan on New Years Eve 1959. Once the great dictator has finished his speech, you will be able to look around your room. This will enable you to make subtle touches to the character model you selected from the outset, such as changing a turban to a Wolf mask, and using a cane for a melee weapon instead of a candlestick. You can also adjust the load-out you bring into battle with you, so you can wield a pistol and a shotgun, with the Incinerate and Winter Blast Plasmids, or you can be a bit more hands-on with a Machine Gun and Grenade Launcher combo and Telekenisis and Shock Plasmids. All of your favourite abilities from Bioshock will be included and playable in the multiplayer. There is also a ranking system, and the amount of XP you obtain after each battle is dependent on the variety of combat you undertake. So, if you’re regularly hacking items to work for you and researching your fallen foe, mixing up your weaponry and using your plasmids, you’re likely to rank up faster than your buddy who is just running out to fight guns blazing. Also, as you rank up, so you unlock items which go into your pad such as new weapons and new plasmids. You’ll also have trials to accomplish, which develop as you progress through the ranks in the game. These can be as simple as getting thirty kills with a pistol, to something more refined such as combining weapon fire with a particular plasmid. When you’re done with all that, it’s time to go to war. There are seven different modes of play in Multiplayer, two of which have a single and team-based variant. Survival of the Fittest: An all on all mode where each player gets points for killing each other. Whichever player has the most kills or 20 kills at the end of the match wins. Civil War: Similar to ‘Survival of the Fittest,’ , the only difference being players are divided into two teams and the team with the most kills at the end of the match wins. Last Splicer Standing: Similar to the aforementioned ‘Civil War’, only players do not respawn after being killed. Each match consists of several rounds in which players attempt to survive longer than their opponents. Capture the Sister: Reminiscent of ‘Capture the Flag’, players are divided into two teams. One team has to protect a Little Sister while the other team tries to steal her. After a pre-determined amount of time, the teams switch roles. Most captures win. ADAM Grab: In this mode there is one Little Sister on the map and you must seek her out and hold her for as long as you can. Whoever has spent the longest time with her at the end of the match wins. Team ADAM Grab: Similar to ‘ADAM Grab’ only team based. It is the same objective, but you via collective score. Turf War: A game of two teams. Each team must reach a set point on the map and attempt to capture it. Whichever team has most control over the map for the longest period of time wins the match. Also, in every one of the aforementioned modes apart from Capture the Sister, a Big Daddy suit will spawn at a random location in the level. If you find the suit, the choice is given to become the Big Daddy, which will give the player incredible strength and endurance, but disables the use of plasmids. However, once the player in the Big Daddy is defeated, the suit disappears. In ‘Capture the Sister’ a random participant of the defending team is chosen to be the Big Daddy. When that player is killed in action, the Big Daddy suit is lost for the rest of that round. Of course, the question you’re all wanting to know is, does it work? For me, the multiplayer portion of Bioshock 2 has exceeded my expectation. That’s not to say it isn’t laggy or that the matchmaking AI could use some fine tweaking and refinement because it puts you in an at the end of matches when searching for a game, but the concept introduced by 2k bears a unique spin on a familiar format and provides a nice alternative experience from gunning down Russians or stick grenading Spartans. More importantly, it works. There are your convential multiplayer modes in Bioshock 2, your free-for-all deathmatch, your team deathmatch and your territory team deathmatch. But what Bioshock offers differently are the vending machines, which at anytime throughout the course of the game you can obtain bullets and EVE hypo and use them on the battlefield. You can also hack aforementioned vending machine and when someone goes to use it, they get a nasty surprise when it blows up in their face. You can also hack turrets to fight for you and be credited for the kills. Of course, you have to be weary that someone else doesn’t get the same idea and takes over your turret. Additionally, when you get a kill within the game, you can research your opponent’s corpse by taking a picture of their lifeless form. This will enable you to get a damage boost whenever you next attack them, giving you a distinct advantage over them until they get a kill on you and repeat the process. What 2K have managed to do is take the best elements of what makes other FPS online good and tweak it Bioshock style. This can make for some very interesting matches and has certainly got a replay value. While it may not be Modern Warfare 2 or Halo 3, Bioshock 2 online is an attractive diversion. Time spent with the multiplayer, as I said before, is a lot of fun, and it’s even better when you have a group of friends together. It’s even quite addictive and can hook you for a few hours at a time. It’s come out a lot better than I expected and it really does feel as if you’re playing a Bioshock game online. 2K have already taken a laudable and seemingly impossible ambition and made it a reality, they’ve set the groundwork for the future and surely will continue to refine and improve the experience as the franchise expands. 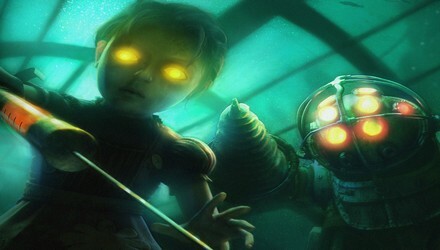 From the very first time you see the dramatic opening sequence and get a feel for the peril you will be up against in your return to Rapture, to seeing your hulking shadow pressed up against a wall and the very thought of being a Big Daddy dawning on you for the first time, to realising that potential and piercing a Splicer through the chest with your drill arm or nailing them to the floor with a Rivet Gun, Bioshock 2 is filled with moments, much like its predecessor, that will both shock and enthral you. It is a very familiar game, and in many respects, that is what I love about Bioshock 2. While it maintains the aspects that made the original game so good and they play out in a similar way, it also unveils fresh concepts with a new story, a new protagonist and is told to us via different means. Bioshock 2 is very supportive of the lore, rules and principles set out in the original game. It understands Rapture, it understands its significance, what it stood for then and how, ten years later, it has fallen from grace. That’s why, even though Bioshock didn’t need a sequel, what has been produced here is a bloody miracle and thoroughly deserves recognition when considering potential Game of the Year candidates. Some might say that this Bioshock was timid and stayed within the lines, not pushing boundaries and keeping the same formula that made the previous game such a success. Some would say it’s the same one-trick pony we saw three years ago, desperately still yearning for our affections by offering up a few new things we haven’t seen before. Some would say it’s not even worth playing at all. However, while Bioshock 2 has certainly got an air of familiarity around it and does stay true to its origins, there is definitely something revolutionary and brilliant that 2K have done with this sequel. I understand your reservations and hesitation to buy this game. Believe me, I’ve been on the fence about this purchase for a long time, but after playing Bioshock 2, my opinion is utterly reversed and all I see are a development team that adore their subject matter. Given the chance, Bioshock 2 will draw you in and captivate you. This game is not a detriment to the series but a tribute. It absolutely deserves your attention amidst the thick competition it finds itself competing against in Q1 2010. Bioshock 2 is the sequel that should never have been, but makes you damn glad that it is.